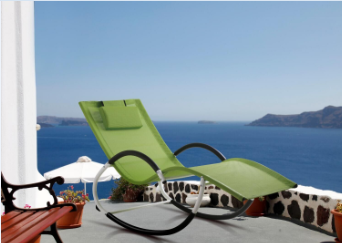 Product categories of Sun Lounge, we are specialized manufacturers from China, Sun Loungers, Garden Sun Loungers suppliers/factory, wholesale high-quality products of Folding Sun Loungers R & D and manufacturing, we have the perfect after-sales service and technical support. Look forward to your cooperation! Sevenze`s Sun Lounge and Rocking Chair are designed well with unique styles. The material chosen is light, easy moving, which is the best combination of multiple courtyard space. It is wise to decorate by lounge and have a flexible usage of it no matter where it is, balcony, living room, garden or swim pool, getting the best experience in your life.